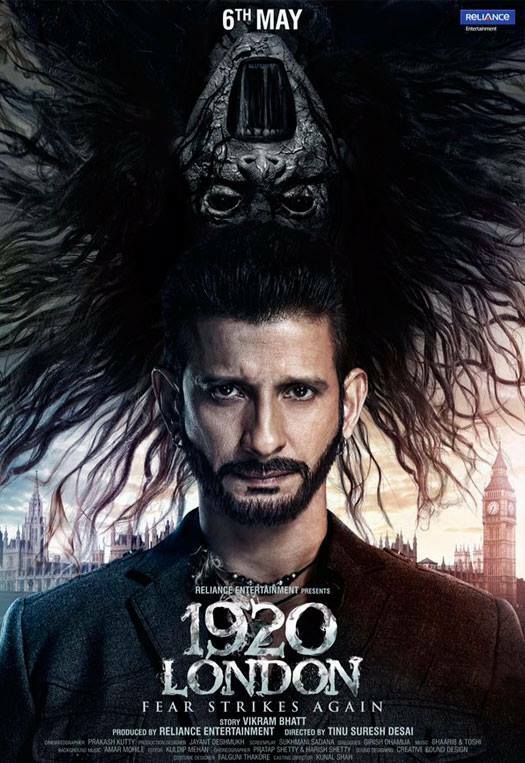 Check out 1920 London First Look poster out Starring Sharman Joshi Pics : Here we are guys with some latest news about the Bollywood. Today we are back with the first look Of 1920 London which is the third part of the movie 1920. The previous part of this movie is 1920 Evil returns which is more scarier than 1920 but people was said that and the cast and crew also said this, This movie is more scarier than the other two movie more and more than other. This time star cast also revolves with new members like Sharman Joshi and Meera Chopra in the lead. The Movie said a lot of stories and the previous two movies are also good but not get lots of buzz or collection but people thought that this movie has that potential to pull the audience towards the cinema to watch this movie in the theater to put this movie in the super hit list of Bollywood. The Movie 1920 London is an upcoming Indian horror film. It will be the third part in the successful 1920 horror franchise, after 1920 and 1920: The Evil Returns. The contains two stars will be Sharman Joshi, who does a lots of film and gave lots of hits to Bollywood and Meera Chopra, who does an fantastic acting work in Telugu films this is the second movie in the Bollywood and we will waiting to saw acting line of her. The film will release on 6 May 2016. The film is directed by Tinu Suresh Desai and produced by Reliance Entertainment and also distributed by Reliance Entertainment. The cinematography of this movie is also nice by Prakash Kutty And music compsoed by Sharib Shabri, Toshi Shabri.